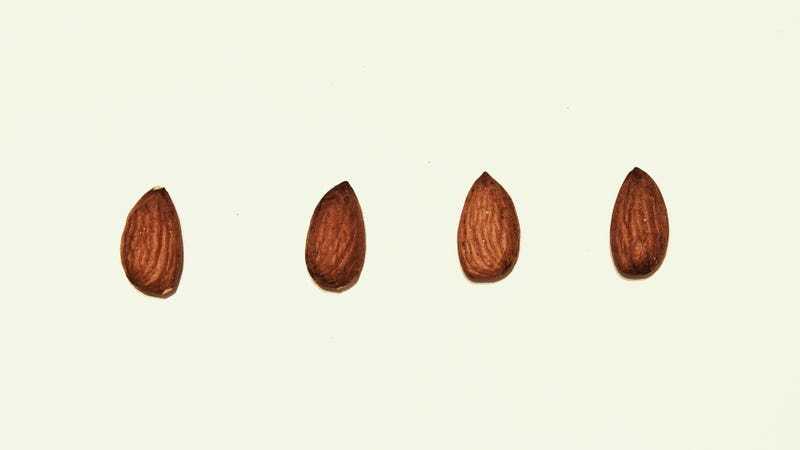 Thanks to Food And Drug Administration commissioner Scott Gottlieb, I am now haunted by the image of an almond with tiny, tiny udders. Thanks for nothing, dude. Thanks for clearing that up, Scotty. His comment caused a stir in the dairy industry, which now speculates that the Food And Drug Administration may issue guidelines that prohibit the use of the word “milk” on products that don’t come from animals. It’s a move the dairy industry has pushed for, but one that makers of soy, almond, and other plant-based milks say is unnecessary. According to analysis by Food Dive, Gottlieb is sending a message that “traditional dairy producers are about to score a big victory in their fight to keep plant-based beverages from using the word ‘milk’ on product labels.” When and how exactly the FDA will do so is unclear; Gottlieb says changes to standards of identity would likely take at least a year. French food authorities have already taken a similar step, banning words like steak, bacon, and filet from use on vegan products.